Some of you may have read my blogs on SharePoint testing, I wrote several blogs on the topic such as SharePoint test and Quality Assurance – Testing SharePoint out of the Box Part 3. Often overlooked or under funded, testing is very important to minimizing Business and IT risk because of the user interface differences, user training impacts, custom code/templates, data and security policy impacts. The blog will focus on the creating your test plan, test cases, report and presenting the results to manage expectations and correct any faults. Where possible I will provide documented example templates you can use to kick start you’re testing. Determine the staff and skills required. Funding required for the staffing, tools and thirdparty. Defining the test environment from a technology perspective. Defining key outcomes / success factors. IT Director – Executive responsible for environment. Depending on signing authority I suggest the CIO be looped in as well. 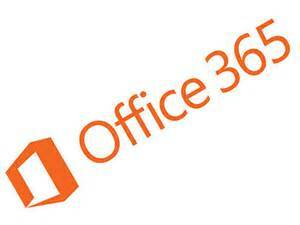 Product manager – owner of SharePoint / Collaboration service. Quality Assurance Manager – manages QA team. Microsoft – your friendly Microsoft support person / team. Third party – any third parties that support the environment such as staff augmentation our outsourcing. Note it’s important to collect everyone’s feedback, answer their questions, educate each other and obtain sign off. By completing this stage correctly you will avoid organizational risk that could create roadblocks due to misunderstanding objectives and outcomes. Name – A descriptive name. Description – Short description of the test case. Data set – A description of the data set being used using the test. Preconditions – What must be in place or is expected to occur be for test. Post conditions – expected post conditions as a result of completing the test. Steps – steps for tester to carry out test. Screenshots – Screenshots that show the outcomes where it makes sense (can be very effective in communicating). Corrupted permissions – especially where there are unique permissions. Large lists – 5000 item limit reached especially if you have legacy 2007 environments. Corrupted lists/libraries – views don’t work properly, filtering errors and form issues. Custom Code – code that wont migrate, must be rewritten. InfoPath forms – especially those that use the old environment for lookups. Wide open sites – permissions configured to leave site wide open. Broken links – requires update tool in most cases. Project 11 sites – these are sites the business builds on their own because their project wasn’t funded – often require time consuming reverse engineering. FAB40 templates – if you have legacy 2007 environment(s). For monitoring during load tests you should monitor VM Host (If you are virtualized) servers, network and storage devices. For Servers you can use PAL, for network speak with the network team and monitor traffic between new and old farms and O365. Some lessons learned include the team must have experience, management will oversimplify the work, document everything, capacity planning must be done in advance not as an afterthought, circulating and communicating results, dealing with problem managers/employees quickly and proactively/aggressively managing expectations. Involve all stakeholders and make sure they sign off in writing to avoid roadblocks and politics.